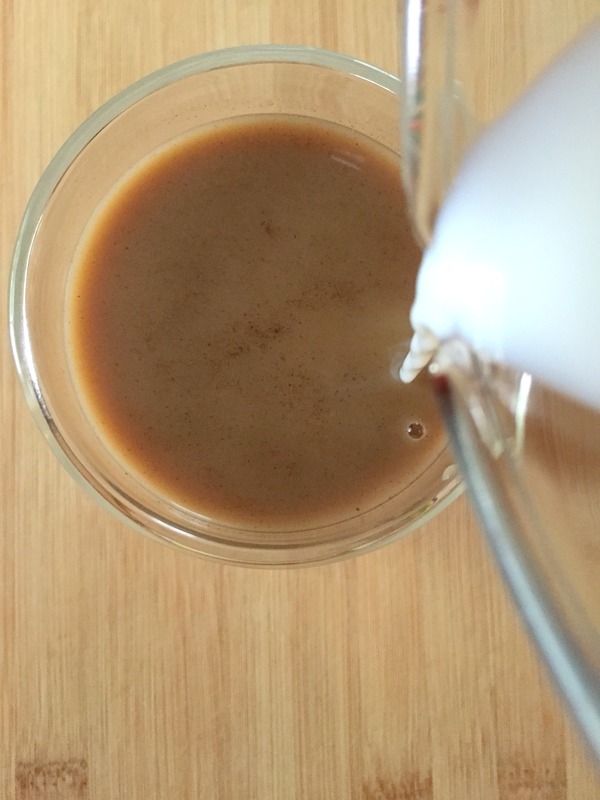 Here is a little tale about coffee and eventually some directions on how to make your own cold brew coffee at home. I started drinking coffee after college and always liked it with skim milk and sugar. Skim milk because, well, less calories, sugar because coffee with skim milk is not very good so perhaps I should’ve started with cream in the first place. Anyway…story goes, I met a cute boy, we spent lots of time together and I started using his coffee creamer in my coffee. YUM! I was addicted. Then we started eating better and realized our beloved flavored, sugary creamer needed to go. And since then (like 5 years ago?) I’ve been at a loss with my coffee in the morning. For a while I was using a “whole” creamer made with just sugar and milk but then this past winter when I was doing a fitness contest with my local Baby Bootcamp franchise I decided it was time to eliminate sugar from my coffee (among other things) completely. But I hated coffee with just milk. 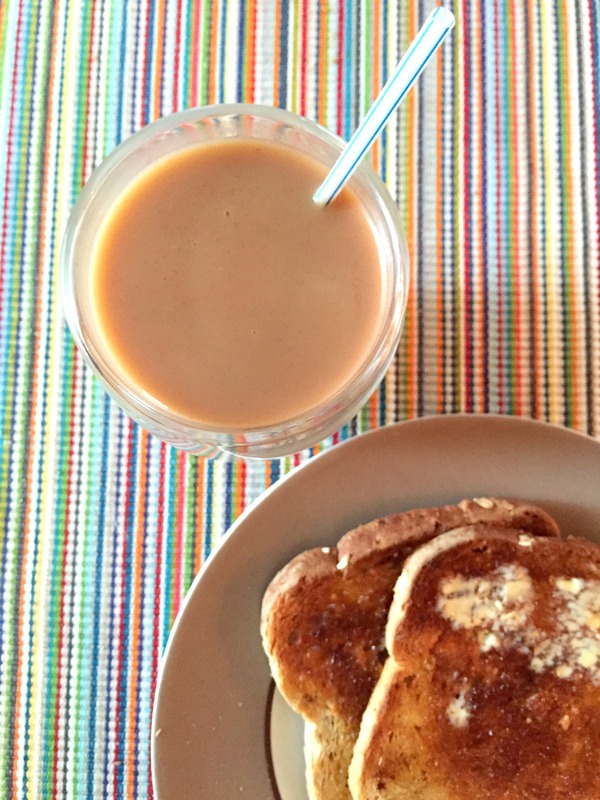 So I tried almond milk (blech), coconut milk (yuck), and a bunch of other tricks (coconut oil, have you done this? Not a fan) until finally I landed on some cold brew coffee. Cold brew coffee is simply mixing your coffee grounds with water and letting them sit for at least 12 to 24 hours in the refrigerator – hence “brewing” in the cold temperature. Cold brew coffee is naturally sweeter because of the lower acidity than regular brewed coffee. In truth, I dilute my cold brew with some of my daughter’s 1% milk (instead of my skim) so it’s a touch creamier and so, so delicious. And ps. cold brew has a slightly higher amount of caffeine, too! To make you need: water, coarsely ground coffee beans, 2 pitchers (one for brewing and one for filtering), and a filter (we use a metal filter from an old coffee maker). 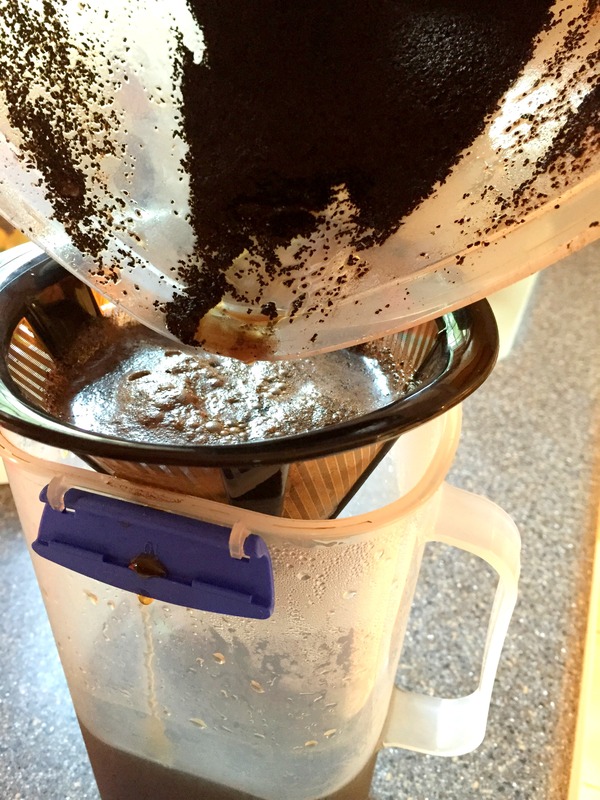 Simply mix water and coffee grounds in a 4:1 ratio. You have to think ahead (sometimes we forget) because you want to leave the mixture in the fridge for about 12-24 hours (the longer you leave it the stronger it will be), but it’s worth it! Once you’re ready to drink, filter entire mixture through your filter. Dilute with water or milk. Enjoy with your breakfast. Have you tried cold brew? I love Cold Brew Coffee. Thanks for the tutorial, I’m totally going to start making it. I usually get the cold brew at Starbucks but it is super pricey (almost $4 for a grande). So I totally need to make it at home. It’s very pricey at coffee shops and so easy to make yourself! I hope you try to! Somehow, I lost traction on the Harry Potter franchise and missed “Goblet of Fire.” I think I was burned out after having read three of these large books to one of my kids at bedtime. Now, though, your review has me ready to leap back into the fray. I think I’ll let “Goblet” be the film I missed and go straight to &#20#2;Phoenix.&28281; It is quite a testament to the sturdiness of the franchise, BTW, that in this summer of sequels, several of which have hit the wall at the number 3, here’s Harry, chugging along at 5. Go, Harry, go!